How about a mind-blowing vacation in a Branson condo? The major focus of the typical hotel room is “the bed.” Even with adjoining rooms that focus doesn’t change. There is no kitchen or common area for the family to share together. If someone gets up early to work on their computer, make a cup of coffee, or something else they must either leave the room or, disturb those they are sharing it with. The major focus of a condo is roominess and common areas separate from the bedrooms. 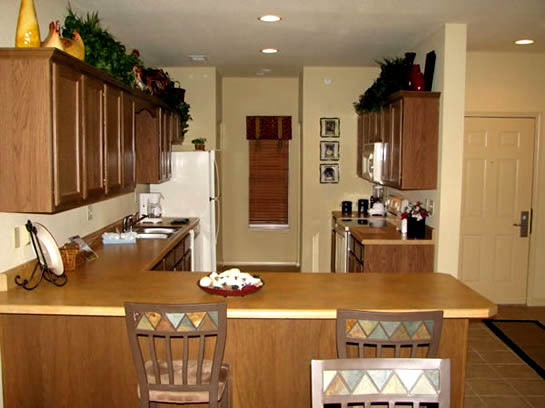 They typically offer fully equipped kitchens and large living areas for everyone to enjoy. The resulting levels of comfort, relaxation and flexibility will certainly add to the enjoyment of any vacation. For more than two people, the cost of a condo is comparable to renting two or more rooms at a hotel. 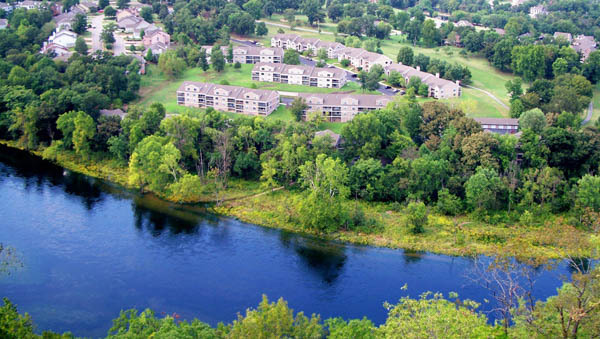 The condos rented by the Branson Tourism Center are fully equipped and luxuriously appointed. All are in resorts with their guests enjoying full resort amenities and services. Let’s look at some of Branson’s best! Pointe Royale Resort is one of Branson’s premier gated communities. It’s set in a beautiful, natural, and spacious setting on the shore of Lake Taneycomo. Amid the scenic splendor of the Ozarks Mountains, it offers one-bedroom to three-bedroom condos and features a challenging 18-hole golf course. The Pointe has a beautiful clubhouse with a lounge and restaurant, some of the finest trout fishing anywhere, indoor and outdoor swimming pools, tennis, wilderness hiking trail, fitness center, playgrounds and more. Spacious kitchen of a Thousand Hills Condo. Both the Pointe Royale Resort and Thousand Hills Condos are but minutes away from the fun and excitement of Branson’s shows, attractions, and shopping. They are also participants in Branson Tourism Center’s Lowest Rate Lock Guarantee Program. When you book through the Branson Tourism Center, they guarantee the price you pay to be the lowest rate available. If you find a lower price offered for the same condo on the same dates, between when you book and arrive in Branson, subject to minimal conditions, BTC will match the lower rate. The Hilton Convention Center Hotel and the Hilton Promenade Hotel offer a limited number of luxurious one-bedroom condos in addition to their standard hotel rooms. Their location is ideal for those attending events at the Branson Convention Center or wanting to be close to Branson Landing and Historic Downtown Branson. Still Waters Resort, located on beautiful Indian Point, offers well-appointed one-bedroom to three-bedroom condos. Its location on the shoreline of Table Rock Lake and full-service marina, make it the perfect resort for those who want to enjoy Table Rock Lake. It’s only five minutes away from Silver Dollar City by Indian Point Road, yet within minutes of all that Branson offers. If you’d like more information on these resorts, condos, or other Branson lodging, please call the Branson Tourism Center at 1-800-785-1550. A Branson based Vacation Specialists will answer any questions you might have about Branson lodging, shows, or attractions. They will also help with ticketing, reservations and getting the best available show seats and lodging. There is no charge for this service and they are available daily, except Christmas Day, from 9:00 AM to 8:00 PM. This entry was posted in Branson Lodging, Featured, Hotels on February 20, 2017 by Gary Groman.